What we do in addition to loving dolls! 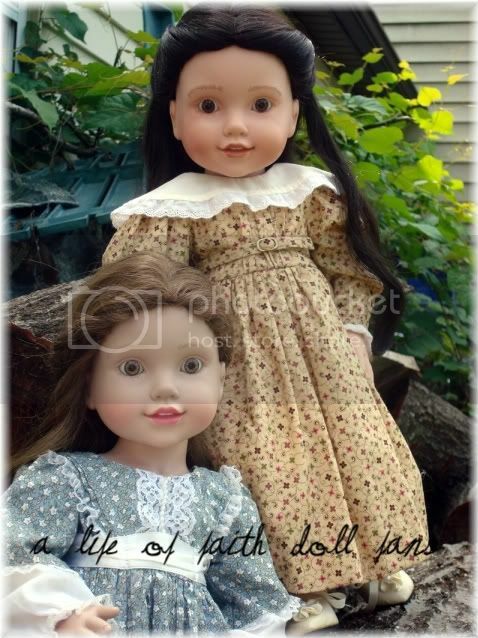 Welcome to A Life of Faith Doll Fans! Here's all the boring, yet important stuff to ensure a pleasant and supportive environment. You can talk about anything related to A Life of Faith here! This is the place to discuss and review Elsie's books, character, wardrobe, and accessories. This is the place to discuss and review Laylie's book, character, wardrobe, and accessories. This is the place to review and discuss Violet Travilla's books, character, wardrobe, and accessories. This is the place to discuss Kathleen's books, character, wardrobe, and accessories. This is the place to show us your sewing/crafting creations! This is our official off topic section...feel free to share your other hobbies, favorite book, or any other fun facts you'd like us to know.